Whilst the drivers' championship was finally wrapped up by Lewis Hamilton in Mexico, a below-par performance for Mercedes opened the door for Ferrari to cut their lead at the top of the constructors' standings to 55 points. 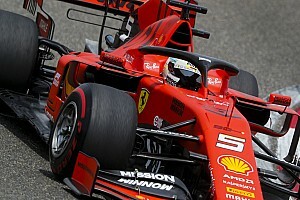 There's a maximum of 86 points to play for but, even if Ferrari do take what would be their first one-two of the season, they would require extenuating circumstances (e.g. 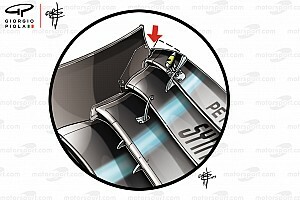 retirements) for Mercedes in order to make up enough ground for a straight shootout at the final race in Abu Dhabi. Fortunately for the Scuderia, both they and Sebastian Vettel have form at Interlagos. Ferrari have the most wins in the history of the event with nine but, more importantly, also took the win in Brazil last year. Whilst Ferrari may or may not have had the outright speed at Interlagos last year, their win was made possible by Vettel getting the jump on Bottas off the line, but also by Hamilton putting himself out of contention with a spin in qualifying. For whatever reason, Lewis Hamilton has never taken a race win after securing the drivers' championship with races to spare. Of his five titles, three of them have been taken before the last race of the season (2015, 2017 & 2018). In total, he's competed in five Grands Prix where he's already confirmed as the champion; the Mexican, Brazilian and Abu Dhabi Grands Prix of 2015, and the Brazilian and Abu Dhabi Grands Prix of 2017. As runs of "poor form" go, this certainly isn't a bad one to have, but Ferrari will be hoping that he continues his unique winless run in Brazil, an event he's only won once (back in 2016). With the Autódromo José Carlos Pace situated much closer to sea level than the Autódromo Hermanos Rodríguez, Red Bull won't be able to take advantage of reduced air density - which highlighted their strong chassis - and will likely be exposed by the high power unit demands. 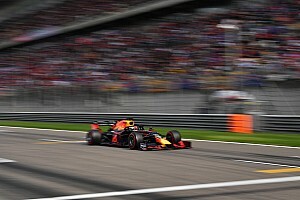 Red Bull themselves will readily admit their Mexico win was one of few opportunities for a win in the second half of 2018: “In general Interlagos doesn’t suit our car that well, but after finishing on the podium there in 2016 and winning last week in Mexico, anything can happen in the race. I’ve had some great battles and overtakes there and I’m hoping for another exciting race," summarised Verstappen. Too late to challenge Renault? With Renault remaining 30 points ahead of Haas in the battle for P4 in the constructors' championship after Haas' appeal against their Italian Grand Prix disqualification was thrown out, the American outfit require a dominant midfield display in Sao Paulo in order to keep the pressure on their rivals. After a disastrous Mexican Grand Prix, Haas should be much better placed in Brazil. 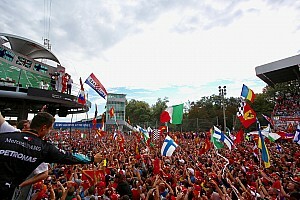 Force India are still fifteen points away from McLaren's sixth place in the constructors' standings. An unfortunately-rare points finish for Stoffel Vandoorne in Mexico inflicted more pain on Force India's failure to score. Slightly further back, Sauber's second double-points finish of the season put them above Toro Rosso in the championship. However, if the Italian team can remain penalty-free this weekend, they may be able to capitalise on an ever-improving Honda power unit and return to the points. Rain to affect the Brazilian Grand Prix? Wet weather has often been a factor during a Brazilian Grand Prix weekend. Rain-affected races include championship-clinching races for Hamilton (2008) and Vettel (2012), the shortened, chaotic 2003 event, and Verstappen's display of racecraft in 2016. Early forecasts suggest that rain is possible at least at some point over the weekend, but these early predictions seem to indicate that the levels of rain witnessed in 2016 - where the race was suspended and completed with 34 laps behind the safety car, a Grand Prix record - are unlikely to happen.